It’s not clear why, but something about a change in the calendar makes us mega-confident that this year, we really will turn things around. Yet you only have to look at February’s empty gym changing rooms to know that keeping to resolutions is harder than it might seem. In this article, leading creatives share previous design-related resolutions, why they failed, and what we can learn from their experiences. But this turned out to be his first stumbling block. “Whilst I read and immersed myself in the world of VR and AR – both literally and metaphorically – when it came to learning the 3D software I hit a wall,” he explains. “Learning the new software is expensive and finding time were factors – least not because they’re not needed at the moment in my day to day work. It was a similar story for Tom Moran, UX lead at TH_NK. “My 2018 new year’s resolution was to draw more,” he explains. “My design put a lot of value in craft and as a UX lead it’s critical for me to be able to communicate an idea clearly and articulately. A good scamp or mock-up, even of boxes on a page, can go a long way. Lesson learned: If you hit a wall, take a step back and see what is achievable. Rather than just giving up, be like Bradshaw. Reframe your resolution (in his case: not becoming an expert practitioner, but still having a rounded knowledge of the subject). And then craft a more suitable resolution to carry things forward the following year. "As a social media addict, I find myself constantly scrolling and finding design challenges in hashtags such as #inktober or #36daysoftype," says Alexandra Francis, junior designer at Flow Creative. "Every year I have tried to participate in more hashtags but found myself excited to start and never finishing." So at the start of 2018, she resolved to do things differently this year. "I decided to tweak the 36 days of type challenge to suit me, and made a new year’s resolution to draw the alphabet," she explains. "But instead of completing the challenge in 36 days I posted a letter on my Instagram whenever I had time, aiming for once a week. Once a week fitted better into my schedule, didn’t give me added stress and meant I actually enjoyed drawing each letter as opposed to rushing my way through the alphabet. And the result couldn&apos;t have been better. "On top of making the challenge suit me, I accidentally lined up my Instagram grid so that each letter appeared directly on top of each other. Liking how this looked and wanting my Instagram to act as a mini portfolio, it forced me to draw a letter so that this was maintained. In doing this I was headhunted by Flow Creative, who saw my feed and I landed my dream job! "I am now on the letter Z and in giving myself a weekly brief, I have been able to really push my style and technique," she concludes. "I have gone from only traditional drawing to experimenting with Paint, Procreate and Illustrator." Lesson learned: A daily design challenge sounds like a fun thing. But are you really that flexible with your time and schedule that you can realistic fulfil it? Consider whether changing it to weekly, fortnightly or monthly might be more achievable. Designer, artist and illustrator Craig Minchington made one major resolution at the start of 2018: having a better work-life balance. But soon after coming back after his Christmas break, he slid back into old habits. He soon realised that he was ignoring all his past mistakes, and actually being less work effective. “So then I made a conscious effort to balance out my work and down time hours. “I am not sure if those early months of chasing new business helped, or whether things just occurred naturally, but for the rest of the year work seemed to keep coming in, whilst balancing out my life and most importantly – avoiding burnout,” he adds. Lesson learned: Just because you fall off the wagon doesn’t mean you can’t jump right on it again. Stick to your guns, and you’ll get there in the end. Learning to say no is a useful skill. 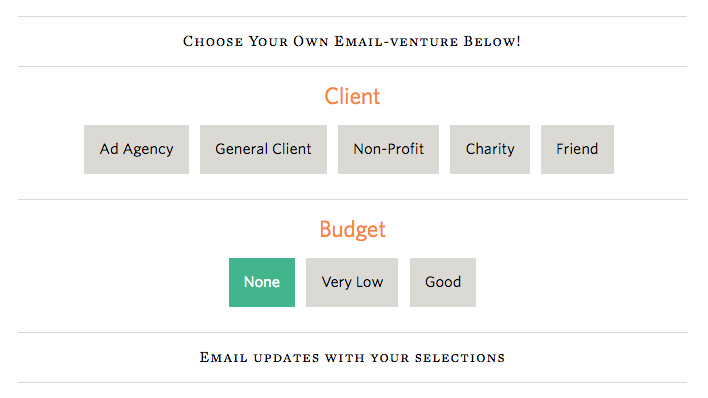 Trying out Jessica Hische’s client email helper can be a good start. So what he’s learned to do more of over the last 12 months is the importance of spending time considering why something is a great thing to do. Lesson learned: If your resolution requires willpower, then to stick to it you’ll need to build up a habit of taking decisions more slowly and carefully. Otherwise, you’ll end up panicking and breaking your resolution through a rush to judgement. Sometimes you don’t quite achieve your resolution in full because other things get in the way that are, let’s face it, more important. That’s just what happened to freelance web designer Robert Fenech in 2018. “I made a resolution to do one mobile app design/layout per week to hone my skills on that side of things,” he explains. Lesson learned: Sometimes other things are simply more important than keeping to your resolution. As long as you’ve given it a good go, and you’re happy with the compromise you made, there&apos;s no point in beating yourself up. We can learn as much from creatives who have kept their resolutions, as those who haven’t. Here we here the stories of New Year’s resolutions that went well, and some lessons that can help us pull off the same level of success ourselves. There’s no rule to say that you need to make fresh resolution each New York. Revisiting the same resolutions can be just as, if not more important. “Every year I resolve to step away from the computer, detach from all the blog inspiration that we are sent and get outside,” says Claudia Morris, design director at B&B Studio. As well as just setting the ‘reset’ button on previous resolutions, it’s also good to develop and evolve your resolutions from year to year. Mark Davis, co-founder and creative director of property branding agency me&dave, offers an example. Such an endeavour, of course, can’t be fully realised in just 12 months. “So our 2019 resolution is to endeavour to make the pitching process more relevant for today’s industry and market. If your resolution is something you can do at any time, chances are, you’ll never do it. So it can be useful to turn it into a regular ritual. So she set up a monthly creative get-together she called Sidekick Series. “The objective was to put randomly selected people together every month – so they can spend time with each other and learn what each do – and get one pair to ‘host’ a creative evening for about two hours. At the end of the day, you need to focus hard on keeping your resolution; it won’t happen just by itself. Dave Bowers, head of strategy at Likely Story, offers an example from 2018. Too many people fail to keep their resolutions because of a ‘lack of time’, but if you need time, you have to proactively make time. Jamie Fleming, copywriter at Purple Creative, made a 2018 resolution to get in the habit of creativity by writing more. He reached it by finding a specific time to do so, and sticking to it. The last creative we’ll hear from is Neil Richards, who (almost totally) fulfilled a New Year’s resolution he called &apos;Analogue 366&apos;. To our minds, 362 out of 366 counts as a success. And so here are Richard’s two tips for fulfilling your design-related New Year’s resolutions. “Don&apos;t beat yourself up if you have to skip a day, or change the parameters. The only person that it matters to is YOU, so do what&apos;s right for YOU. 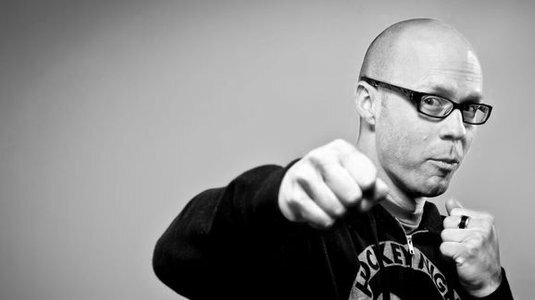 "There will be hits and there will be misses, but you probably wouldn&apos;t get the hits without learning from the misses. I loved the fact that I learned new skills on my year, and some of the smaller projects made the bigger ones better." A new year is a great time to reflect on the need to upskill yourself over the next 12 months. Why? Because whatever stage you&apos;re at in your career, you need to avoid getting swept aside by the tide of history. Ben Christie, creative partner at Magpie agrees. "A truly successful graphic designer develops an innate ability to continually grow and adapt to their ever-changing environment," he says. "So you should always be looking and learning. Sucking up as much of the world as you can. Sustained designer nourishment." But what skills are really going to help you grow your career? Here, we look at what&apos;s most in demand right now, and how you can meet those needs by upskilling yourself in 2019. If you&apos;re working as a graphic designer, you should already know the fundamentals of typography; if not, get started with our refresher, Typography rules and terms every designer must know. But as graphic design slowly transitions from print to online, the need to understand the principles of digital (as opposed to print) typography have never been greater. And it&apos;s not just simply a case of swapping ems for pixels. "Although the skills are transferable, there are a whole host of differences when designing digitally," says Alexandra Lofthouse, senior UX designer at Fifteen. "These include licensing, font sizes, resources, accessibility and more." And that&apos;s not even to mention new technologies like variable fonts and responsive type. With so much to consider, and new techniques evolving all the time, it&apos;s important to stay informed by reading around the subject, believes Jack Statham, designer at Ragged Edge. "There are plenty of high quality tutorials and blogs that cover typography for web and apps," he says. "A more in-depth approach would be to subscribe to a video course. Skillshare and LinkedIn Learning (previously Lynda.com) are two providers of graphic design courses that are put together by professionals." It&apos;s perfectly possible (and indeed, surprisingly common) for graduates to emerge from respected design courses without actual software skills. And in one sense that&apos;s fine: as long as you&apos;ve covered the fundamental principles of graphic design, you have a firm bedrock on which to add those skills later. But at some point, you will need to do so. In fact, it&apos;s unlikely you&apos;ll get even a junior designer job without a good grasp of at least Photoshop, Illustrator and InDesign. Meanwhile, if you&apos;re in a later stage of your career, it always helps when applying for positions to add a few software strings to that bow, depending on which direction you wish to specialise in. To get a taste of what people are looking for, check out the job listings on a site like Design Jobs Board; most ads will list particular tools as &apos;must haves&apos; and others as &apos;preferred&apos;. But also remember that by the time you&apos;re fully trained, that may have changed. 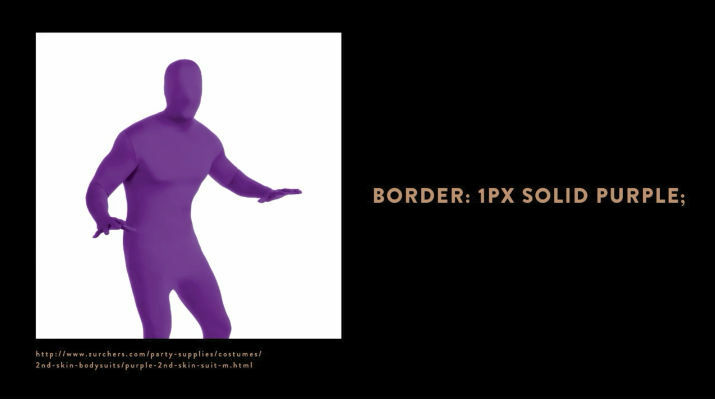 Will 2019 be the year you get your head around After Effects? The most important thing, then, is to focus on software skills that will help you grow in the areas that you&apos;re most passionate about. For instance, you might want to try out Blender in order to develop your 3D modelling skills; After Effects to build your abilities in motion graphics and animation, or WordPress as a way of dipping your toes into web design. "You can&apos;t know everything about everything. But when you recognise either a commercial or academic need, and you also have the passion to drive yourself into new areas, then on completion of that journey, you&apos;ll be a better designer." As the world gets more visually minded in the age of Instagram and Snapchat, editing and retouching images is becoming an increasingly important part of graphic design jobs at all levels. Primarily done using Adobe Photoshop and Adobe Lightroom, it&apos;s about everything from small-scale cleanup work (removing tiny glitches from a photo such as dirt, dust, flare and glare), to cropping pictures to fit different social platforms, to full-on image manipulation and enhancements. The best way to improve your skills in this area is, of course on the job. "Since starting working here at PWAR Creative, my photo editing skills have improved massively," says graphic designer Kara Clifford. "I personally think the pressure of working for clients and also working alongside other talented designers has taught me more about image editing than any course has in the past." But if your role doesn&apos;t currently involve image editing, it&apos;s certainly worth taking some time to build on your current skills. Especially as it&apos;s something that you&apos;re unlikely to ever completely &apos;master&apos;. "For me, it&apos;s been a slow drip of knowledge over a number of years," says Sarah Gray, a freelance designer based in Dublin. "I&apos;ve learned as I&apos;ve needed to from various sources: school, projects for university, YouTube, freelance projects, skills on my internship. But Photoshop is so functionally dense I feel like there&apos;s still so much to learn." You can also boost your image editing skills by taking a course, following Photoshop tutorials or by pursuing a side project. As well as editing images, the ability to capture original images is an extremely useful one for designers to have. As a freelancer it means you can reduce your reliance on stock imagery and add more value to the client. And if you&apos;re working in a studio and commissioning other photographers, your personal knowledge of the discipline can help you communicate with them better and get the exact shots you need. "Although it’s a cliche, a picture really does say a thousand words," says Jacob Cass. "And for this reason I use photography in the vast majority of my projects, especially in web design. 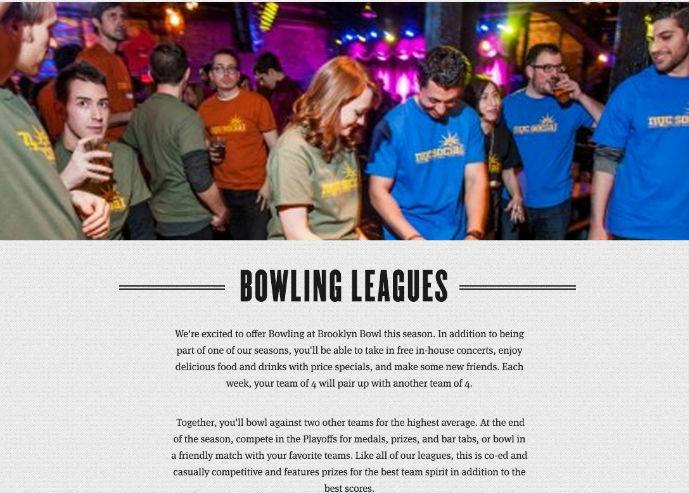 A good example would be for Brooklyn Bowl, where we had to show off artists performing on stage, the extraordinary interiors of the establishment and of course, the finger-licking food. " In practical terms, graphic designer and photographer Matthew Holland recommends: "Get a DSLR and explore all the manual settings. If you rely on automatic, like you get on a smartphone, you&apos;re only really capturing half a photo. The camera is making all the decisions for you. It would be the equivalent of laying out a wireframe and clicking a &apos;design&apos; button which decides the colour pallet, typography, images etc. Only when you start to understand the power of aperture, shutter speed, ISO and white balance can you start to make informed artistic decisions." He also urges that you "shoot in RAW rather than jpg, as you can then make the processing decisions yourself. 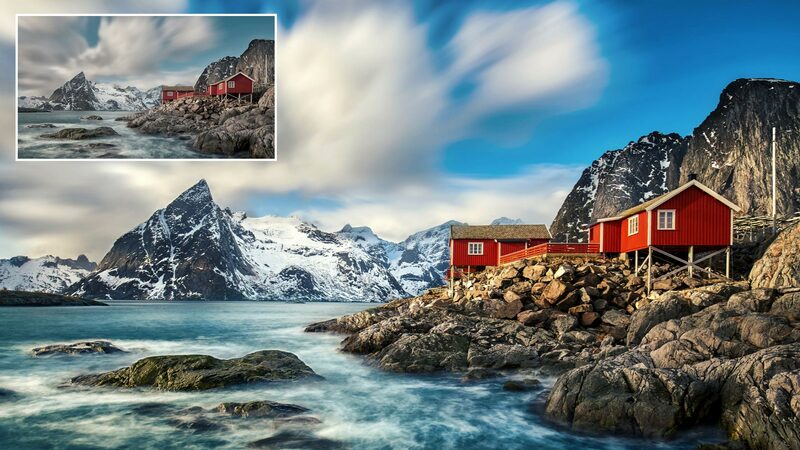 If you shoot jpg, then your camera is making the decisions on how your image should look. "RAW allows you to experiment with exposure, contrast, saturation, Levels, Curves, White Balance and dozens of other settings in post. Some people argue that this makes you lazy as you can &apos;fix&apos; a photo after capturing it, but people have been adjusting their images in the darkroom for years." So what is UX, exactly? “The role of the UX designer is to take every opportunity to enhance the other person’s enjoyment of an end product, not just visually but cognitively too, removing obstacles and easing the experience,” explains Alec East, founder of Narrative Industries. And it’s not necessarily about pursuing a career change to become a UX designer, but boosting your ability to do the job you’re currently in. Get started by learning some of the basic rules of UX design and check out some of these TED talks on UX design. As it is for UX, so it is for coding. Nobody is expecting someone focused on graphic design to build a website from start to finish – that would make them a web designer – but the more you can understand about the coding process, the better you can collaborate with developers and programmers on your digital designs. Indeed, these skills are in such high demand now that your employer may well provide time at work for you to develop them. Nelson Bostock Group certainly sees things that way, says lead designer Laura Gibbons. “Here, our personal development plans identify areas of interest and important new skills to learn,” she explains. And even if you can’t get time at work, something as basic as HTML is pretty quick and easy to pick up. There are many good online courses, including the free ones provided by W3Schools. 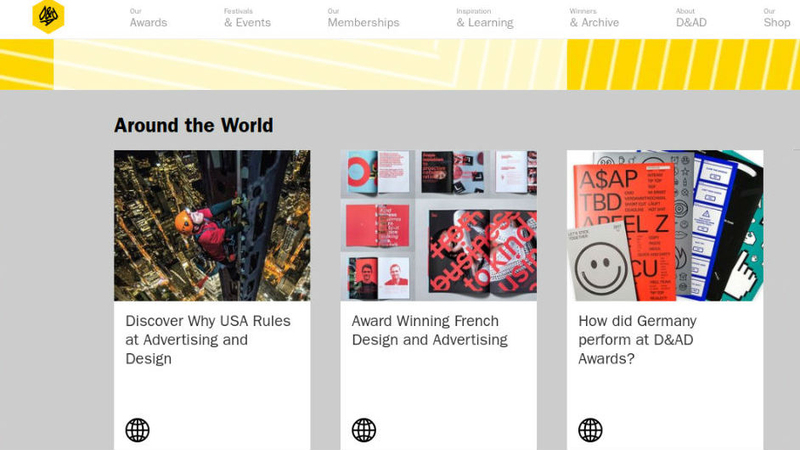 And if you want to go a little further, check out Don’t Fear the Internet, a learning resource from by Jessica Hische and Russ Maschmeyer that’s specifically aimed at print designers, photographers and other creatives. 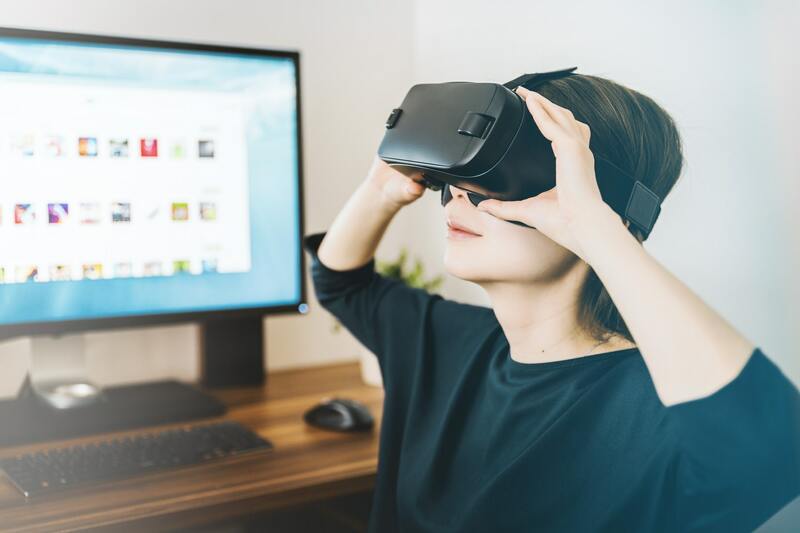 UX and coding have been around for quite some time now, but other, newer technologies are also becoming important to design agency work, including VR (virtual reality), AR (augmented reality), mixed reality and AI (artificial intelligence). Every graphic designer needs to keep a close eye on developments in such fields, stresses Vanessa Eckstein, D&AD Design Jury president 2018 and principal at Blok Design. “We are designing identities and branding that need to be expansive and seamless and to cross many platforms and experiences,” she says. “This means we all need to get more savvy and knowledgeable about what technologies and innovations are taking place and how these could align with the needs of a particular brand. And then try to rethink the opportunities instead of repeating patterns. “We can’t avoid being both in awe and overwhelmed about the big shifts taking place in AI, for example. This will affect many spaces we inhabit and the ways we interact with each other and society as a whole. 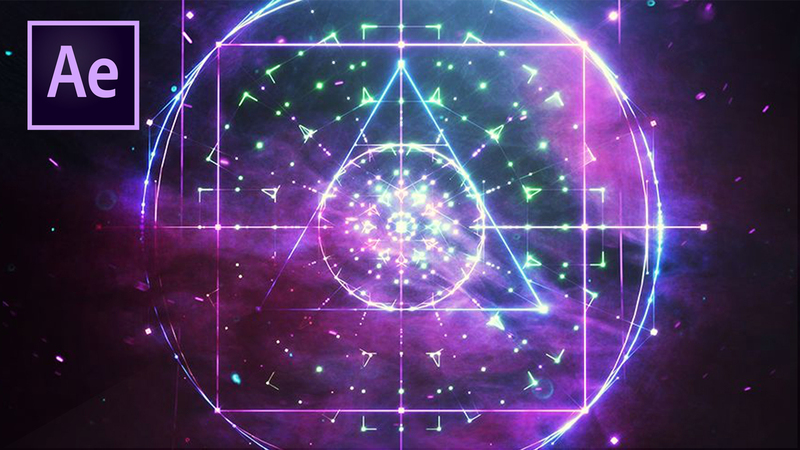 Get started by checking out 20 tutorials to help you use VR in your design work, learning how to mock up AR graphics with After Effects and how to design for artificial intelligence. Many experienced graphic designers have told us they feel behind the curve on digital skills. Conversely, however, there can be a skills gap with some younger designers when it comes to print design. 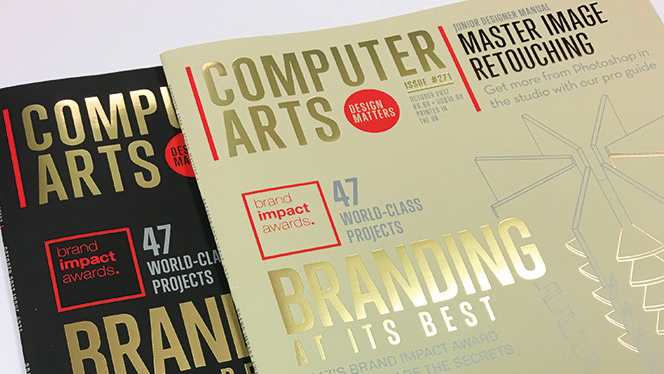 Despite the rise of digital, the importance of print media to the design industry is still strong, so understanding how to properly set up your screen designs for the physical world is still a vital part of a designer&apos;s knowledge base. “I would encourage a junior to visit a print production house,” says Gibbons. “These guys know it all; they can share their knowledge and experience on the print process, artworking, paper stock, use of colour, finishing, and more. We’ve already established that in 2018 it’s important for every designer to focus on specific software and technological skills. But Eckstein fears that some of the more important design skills may get lost along the way. But if our problem solving skills are important, what can we do to hone and develop them? This article by Steve Fisher develops the theme that design is about solution, not visuals, while this article from the Interaction Design Foundation also provides some hints and tips to help you sharpen your problem solving skills. Along with problem solving, Eckstein cites the "ability to think expansively" as a useful skill for designers to develop. Unlike other skills, which require formal study through books, courses or tutorials, this is more about constant and daily practice. “It involves everything from constantly feeding our curiosity through art, poetry, architecture or being part of conversations happening in our communities, through to being involved in projects of social justice, for example,” she continues. A great mockup for a website, app or other design helps to drive sales – just as eCommerce stores have models wearing available pieces of clothing. It’s easier for customers to visualize the look and feel of the product when it’s placed in a real-world image. That’s why mockups are so important when it comes to web design. You’ll see these mockups on developer’s websites and when you search for apps on the Google and Apple stores. Although sometimes you’ll want to pay for mockups, you can typically find high-quality free options that look just as professional as the premium ones. That’s why we’ve put together a list of free mockup templates for web designers. Some of these include tablets, phones and other devices on their own, while others show those devices in the midst of various scenes. For instance, it’s not uncommon to see website mockups with a computer in a coffee shop or on a phone in someone’s hand. If you’re looking for free web design mockups, this is the place to be. This is an excellent free mockup for creating a simple, elegant presentation for your website. You’ll receive multiple views of the Macbook on the same table, allowing you to get creative with your mockup. The floating iPhone takes a different route than what you typically see from phone mockups. 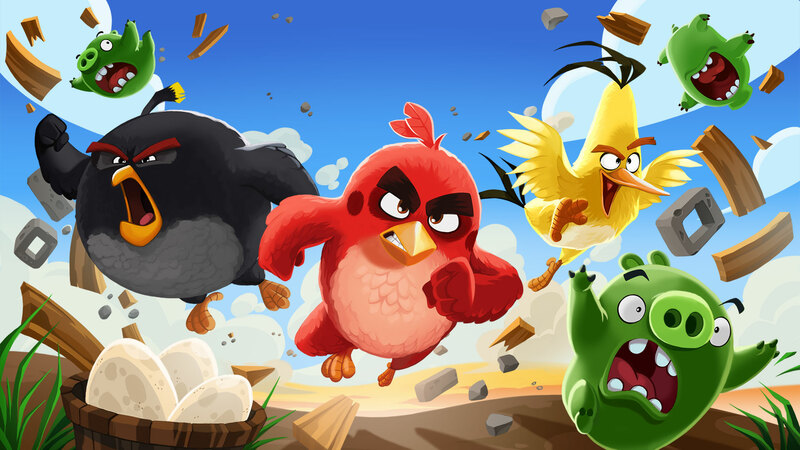 This would work great in a website header or on a landing page trying to sell an app or mobile website. All web designers need to show how they can develop websites for multiple devices. 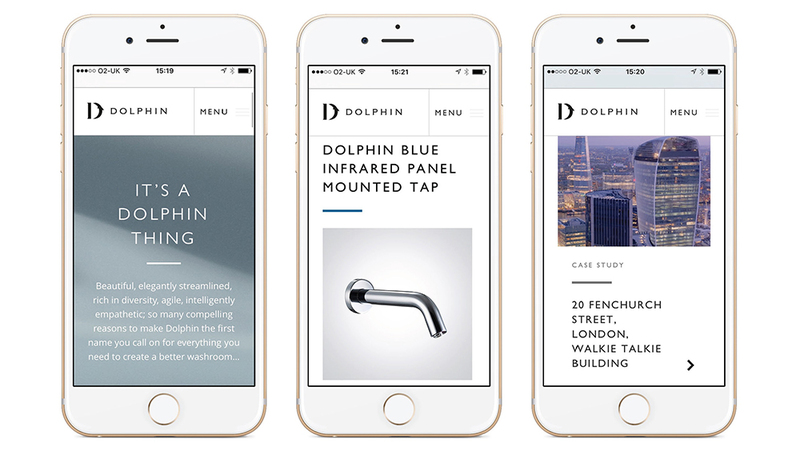 One of the best ways to sell your site is to have a showcase of all devices supported. This way, customers get a taste of what the theme, template, or final web design looks like on phones, tablets and computers. Web designers also create interfaces for wearable devices, so it’s nice to have an Apple Watch mockup in your arsenal. This one is a free PSD file with different views on multiple wrists. This way, people can visualize what the watch will look like when they actually wear it. Today, many people work from home. That’s why it’s essential to have some mockups with computers and phones sitting on kitchen counters, coffee tables and beds. This mockup features a white iPad with bright colors and even a little clipboard to include some other graphics to go with your brand. Don’t forget Android devices! It’s all too common to limit most of your mockups to iPhones and Macs because of how sleek they look. However, lots of people have Androids and Windows computers, meaning you want to make those people feel included as well. Some mockups bring the technology you have worked with into the real world. And that makes sense, since some folks plan on using their phones while camping or at coffee shops. Allow your users or clients the opportunity to envision themselves using your web design in their natural habitats. Here’s another mockup with multiple responsive designs. It’s simple and sleek, using white and grey colors to mimic something you might see on the Apple website. One of the most popular ways to show a visual of your website design is to go with the standard iMac on a desk. The tricky part about using a mockup on a desk is ensuring that it looks like real life. Sometimes you see desks that are way too pristine or they don’t have anything on them at all. I like this one since it’s a wooden desk and you can see several other devices like speakers, phones, and even some books and decorations. This is more realistic and similar to what someone would have at their own home office. The Boxing Day sales are here – hurrah! So if Santa didn&apos;t deliver that shiny new laptop you asked for, never fear, we have you covered with all the best Boxing Day laptop deals right here. We&apos;ve seen a few good ones, with many retailers turning the Boxing Day sales into special events to try and finish off the year with a bang. So if you missed all the Black Friday action, there&apos;s still a chance to grab yourself a great bargain on a quality laptop. Where can you find the best Boxing Day laptop deals? Sometimes, those plain serif and sans-serif fonts aren’t doing it for you. These fonts are great to use for the bulk of your website because they’re very simple and readable. But when you’re designing a logo or want to add a personal touch to select areas of a website, fonts that look like handwriting might be a better choice. 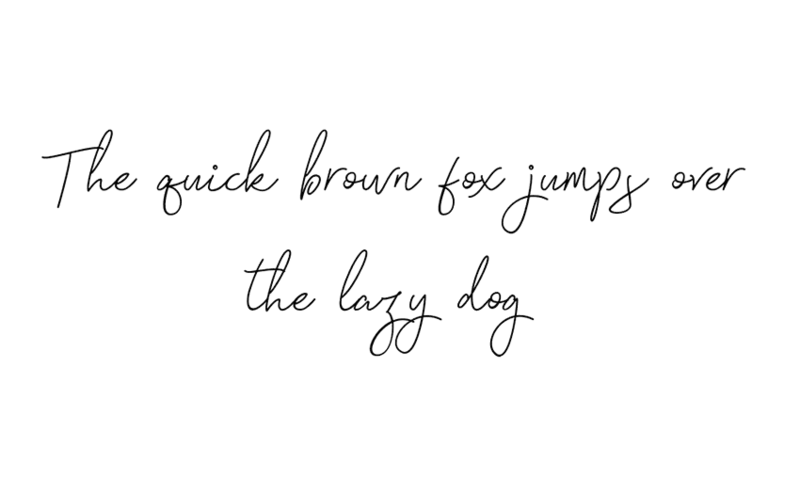 Here are ten free handwritten fonts to get you started! This calligraphic font would look great on any site that needs an extra bit of elegance. The vaguely medieval feel will work well with history and literature websites, or sites that simply want to look a bit more graceful and royal. It’s also a very legible font, so you can use it pretty much anywhere. 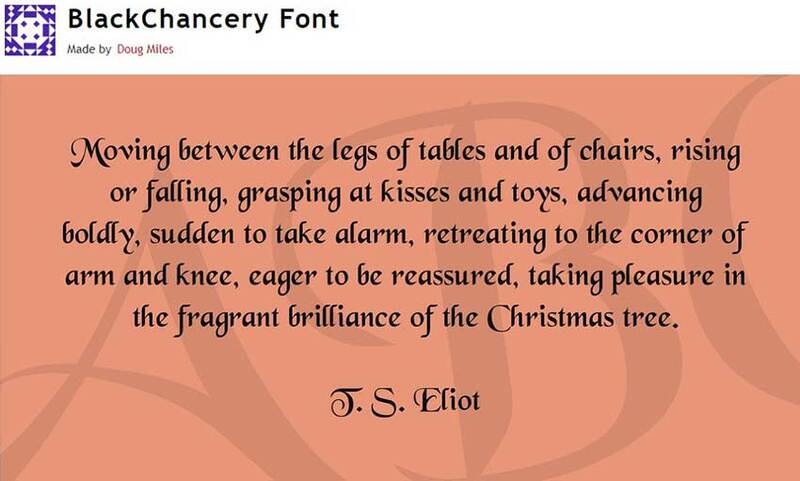 Pick up Black Chancery Italic while you’re at it! Need to emulate someone’s signature? Signatura is just the thing! It easily creates a beautiful and legible signature that looks like it was scanned right off the paper. 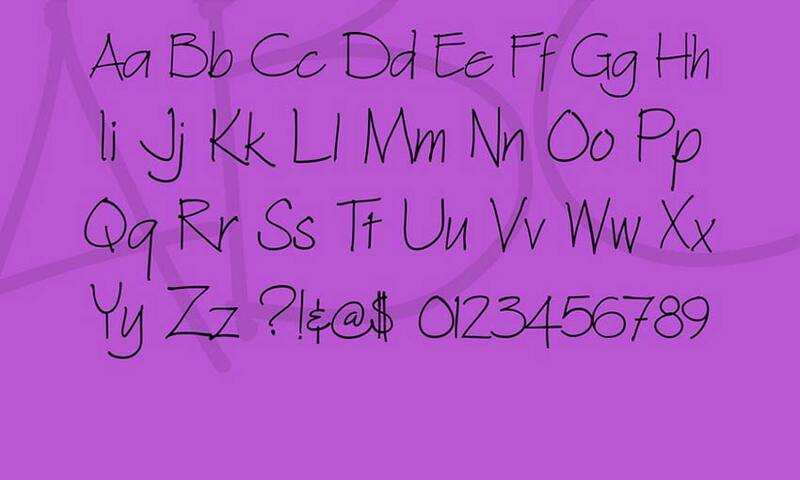 Use it to sign the website creator’s name, or just as a sophisticated script font. Great vibes is simply gorgeous. 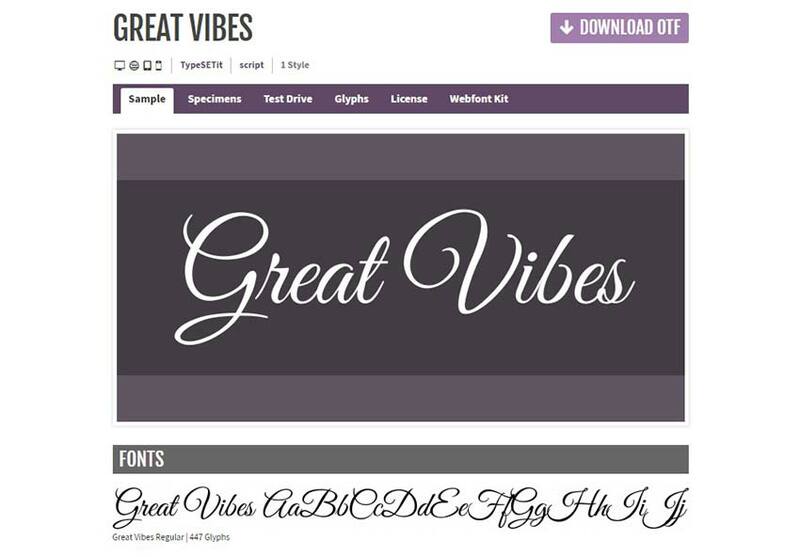 If you run a business that wants to radiate dignity and sophistication, try out this font. The calligraphy is unsuitable for blocks of text, but try it out with short sentences or a few words and you’ll love the result. Tahu is a bold, eye-grabbing font, easily readable but not lacking at all in that individual handwritten style. 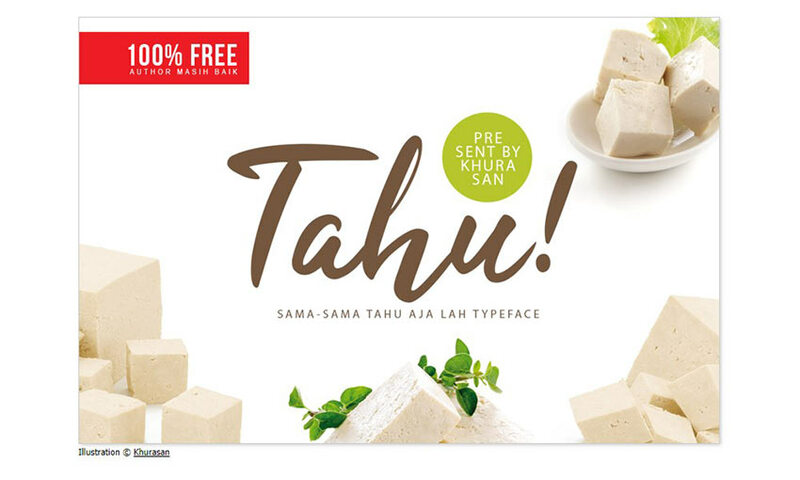 Tahu italic’s look and thick lines would make for a great header, or as the central text in a banner or poster. This thin, narrow font is very versatile. It comes in regular and bold style and is made with entirely uppercase lettering. If you need a neat, hand drawn font that makes a statement, Amatic might be right for you. Architext was created to emulate the lettering you’d find on hand-drawn architectural sketches. Neat, pristine and thin, this font really looks like someone transcribed their own handwriting. The little flairs on the lettering make it beautiful. Try Architext if you’re after familiar and informal, but stylish. Perfectly elegant, Windsong is a great choice if you’re looking for something delicate and tasteful. This beautiful script lettering comes with support for nearly all symbols and letters, so it’ll work with non-English languages, too. TrashHand’s bold strokes and slight serifs make it look really unique. The neat handwriting would look great on any website, professional or personal, if used in the right spots. Try it out; you’ll definitely love it! 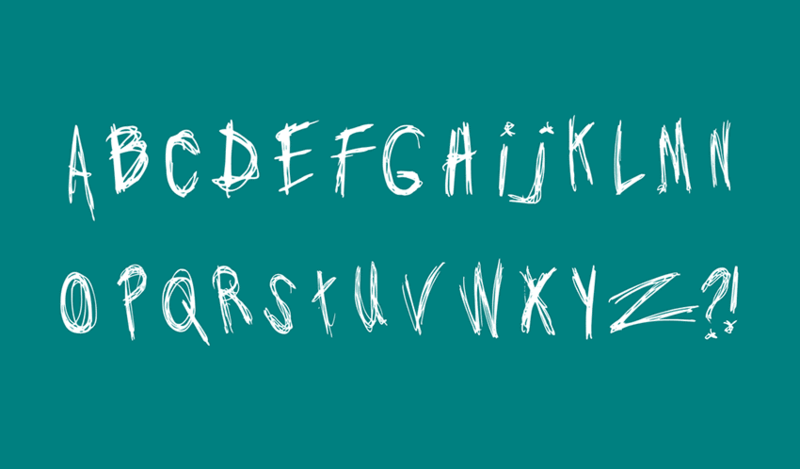 Need a horror font, or something exceptionally scribbly? Jo Wrote a Lovesong sacrifices legibility for a unique style. It definitely isn’t a font to over-use. But carefully placed and used correctly, it can make a big impact on a site’s tone. 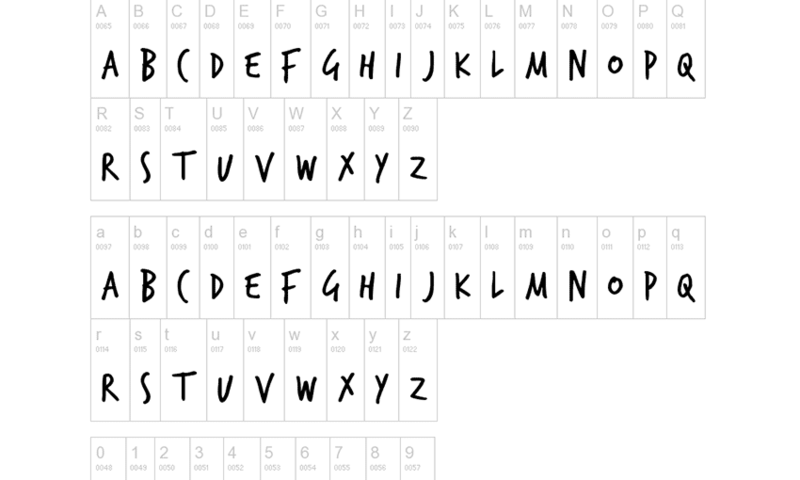 FFF Tusj is a sketchy font, perfect if you need something that looks like it was made with a pencil. The font takes an interesting spin on Georgia, and it’s surprisingly easy to read. The small imperfections and variance on the shading of each letter just adds to the effect. Try it if you want something rougher. 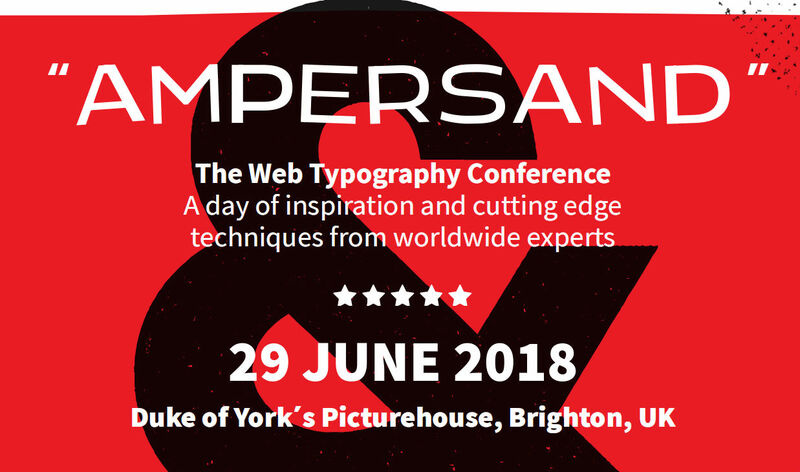 Stylistic fonts generally shouldn’t be used for the bulk of a website’s text, as they can be difficult to read when used for more than a few words. But for logos, headers, and little snippets of text, these fonts can really spruce up a webpage! Whether you’re going for elegant, down-to-earth, or artistic, one of these script and stylistic fonts should be able to help you. According to a recent QuickBooks survey, the #1 reason freelancers go into business for themselves is because it lends them the freedom to shape their own career path. Whether you’ve done freelance web design work for a few months or a few years, there may come a time when you feel bored, unchallenged, or limited by it. When that happens, do you keep charging along because it’s what you originally set out to do? Or do you work on turning your career path into something that better aligns with your goals and job preferences? One possible career pivot I want to present to you today is web consulting. Be sure to scroll down and take the quiz to see if this is a smart move for you! Designer vs. Consultant: What’s the Difference? A web designer or developer is someone who actually gets their hands dirty. They’re the ones who use coding and design skills to build a website from the ground up. Projects usually only last a couple months, unless maintenance services are offered afterwards. A web consultant is an advisor for those in need of or who already have a website. They can provide a one-time assessment to clients or work as a dedicated advisor and guide. Consultants specialize in the total landscape—from user persona research to optimization of a website and related marketing activities post-launch. As such, a web consultancy enables you to offer as little or as much as you’d like, unlike web design services which are a bit more rigid in nature. In fact, selling consulting as an add-on to your web design plans could prove quite lucrative in and of itself. Not only would you become a total end-to-end provider of website services, but this would help you retain clients over longer periods of time. Plus, as website builder tools grow more and more popular, you may find that many of the clients you would’ve easily sold design services to a year ago now confidently believe they can build a website on their own. And they have a point. Builders have greatly simplified the work that goes into creating professional-looking websites. What these builders haven’t been able to do, though, is teach everyone how to choose the right color palette for accessibility or the right typeface for mobile users. Nor do page builders explain the importance of things like security and speed in the grand scheme of SEO. They may remove the need for someone to do hands-on work on a website (at least in your clients’ eyes), but they haven’t taught these DIY users the why of it all. Take the Quiz: Are You a Designer or a Consultant? I don’t mean to make this a completely black-or-white question. I believe that you can still build websites for a living while also providing occasional consulting to clients. Or vice versa. In fact, performing a mix of duties might be the perfect way to spice up your workday while bringing some much-needed stability to your income. If you’re an implementer through-and-through, consulting isn’t a good choice for you. If you’re not happy with the job anymore, it’s time to look at another career path, like consulting. Consultants are inherently great at project management. If you don’t have the skills or interest, don’t go down that path. Small business owners would appreciate the guidance, but won’t be able to afford your services. Enterprise-level companies will want the total package from you, so unless you have an agency, it may be best to hold off on approaching them. If you’re not a people-person, consulting will be a very bad fit. Consultants aren’t just people-persons. They’re also know-it-alls (but in the good sense). Consultants are voracious learners. They have to be if they want to provide guidance that’s well-informed and valuable. Unless you plan on providing one-off consulting services to clients, planning to consult, design, and develop by yourself just isn’t sustainable. Is Web Consulting for You? Not everyone is cut out for web consulting. And that’s fine. There are other ways to provide high-priced and recurring services to clients. Like selling website support or maintenance services. But if you’re unhappy with what you’re doing now, don’t let your discontent affect the quality of your work. Find a way to fix it by pursuing a career path that makes the most sense for you. https://www.primarytech.com/wp-content/uploads/2013/04/PrimaryTechnologies-Logo-new1-300x144.png 0 0 admin https://www.primarytech.com/wp-content/uploads/2013/04/PrimaryTechnologies-Logo-new1-300x144.png admin2018-12-26 22:30:022018-12-26 22:30:02Quiz: Could You Become a Design Consultant in 2019? The post Visual Composer: The Brain-Twisting Story of the Name Change appeared first on SitePoint. The post 6 Reasons to Use Infographics in Web Design appeared first on designrfix.com. A sophisticated design with great typography and smooth effects. Our pick this week. Tommy Hodgins covers some of the most requested CSS styling features in a month-long series in this Twitter thread. Scott Jehl shows how a reasonable set of styles can create a consistent select across new browsers, while also looking fine in older ones. Michelle Barker walks through the math of reversing any easing function. Chris Ashton experiences first-hand difficulties that visually impaired users face and describes what we can do as web developers to help. Ire Aderinokun shows how to implement a service worker for handling broken images. Eric Bailey reminds us that using modern development techniques are not a guarantee for accessibility. A mesmerizing Christmas Experiment by Nicolas Riciotti. Every time you start drawing a doodle, a machine learning algorithm tries to finish it and match the category you’ve selected. Made by Monica Dinculescu. Blake Bowen coded this captivating flame demo. A look under the hood at the technology and techniques used to power Spotify Wrapped 2018. Super stylish illustrations for your next project. 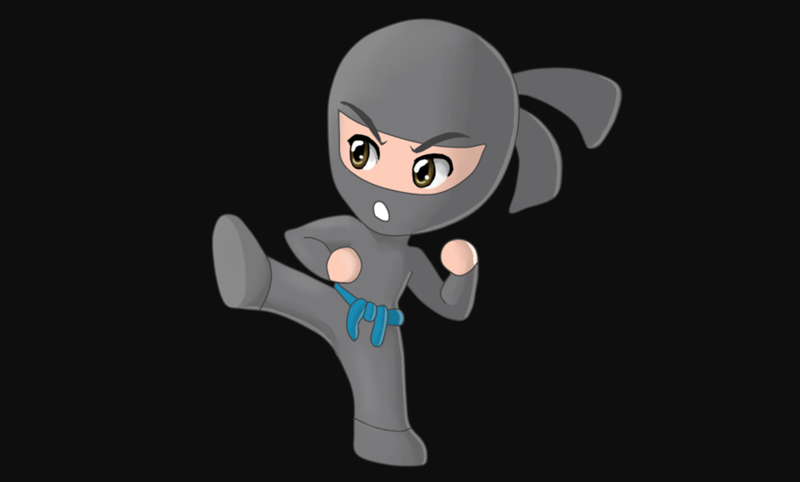 PNGs are free for a link. Danny Guo shares how to create an animated underline style for a breaking link. Learn all about the Wake Lock API in this post by Pete LePage. A tutorial by Fernando Doglio on how to build a multiplayer text adventure engine. An article by Brian Greig where he shares some insight on how to properly deal with data processing in the browser. Mike Bostock lays down two reasons why you might want to use a library like D3 (or Vega). A fun game where you decorate a Christmas tree. How to do this in Flutter? A cheat sheet for React Native developers for finding Flutter alternatives to familiar concepts. An article by Zell Liew where he explores how to check if an input is empty using CSS. A recreation of the effect seen on the Spotify “Your 2018 Wrapped” page. By Peter Barr. An inspirational collection of our favorite website designs from 2018. 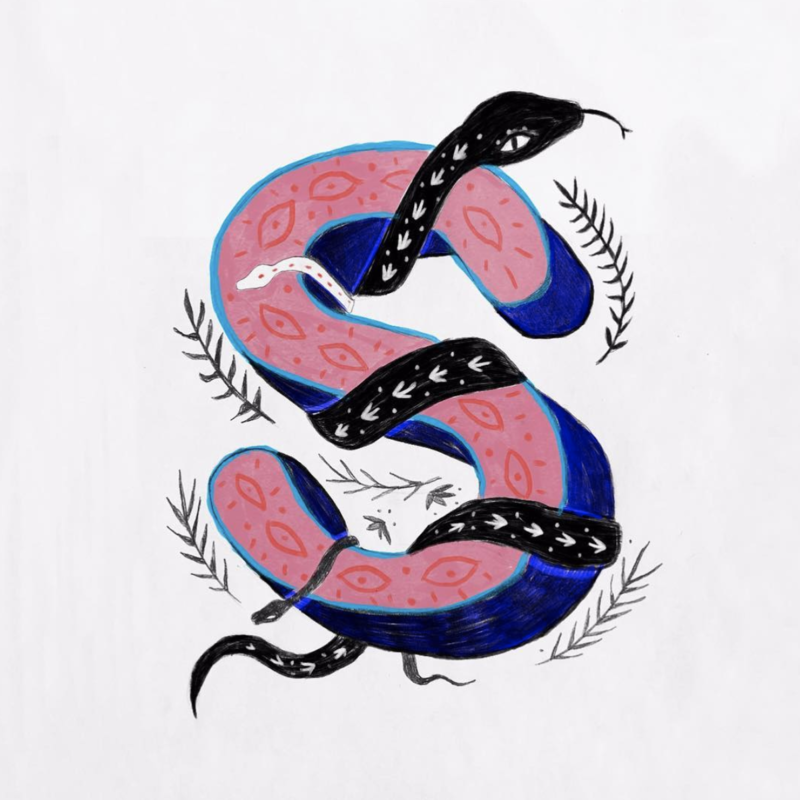 Collective #478 was written by Pedro Botelho and published on Codrops.